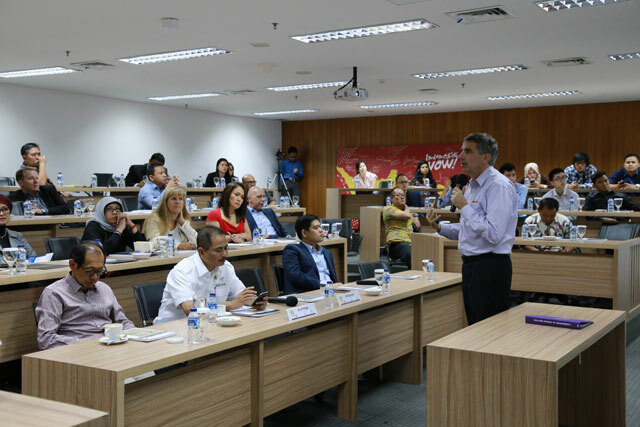 Philip Kotler Center for ASEAN Marketing – Jakarta Chief Marketing Officer Club (Jakarta CMO Club), Kellogg School of Management and MarkPlus, Inc. presented “Preparing Executives For The Growth Challenge: A Kellog Perpective.” On Wednesday, August 5, 2015 at Philip Kotler Theater, Jakarta. The event hosted by Hermawan Kartajaya, Tri-Founder of Philip Kotler Center for ASEAN Marketing. The Speaker was Will Garrett, Associate Dean for Executive Education.